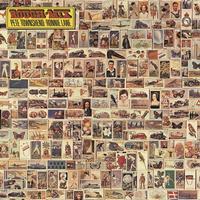 "Rough Mix" is an album by The Who's guitarist Pete Townshend and former Small Faces and Faces bassist Ronnie Lane. The album was released in September 1977 as Polydor 2442 in the UK and MCA 2295 in the US. The album peaked at number 44 on the UK album chart, and at number 45 on the Billboard 200. Now available on Digital Downloads.